So, as I may have mentioned before (like, a lot! ), I have a bit of an obsession with books. I am very rarely not buried in a physical novel or audiobook. 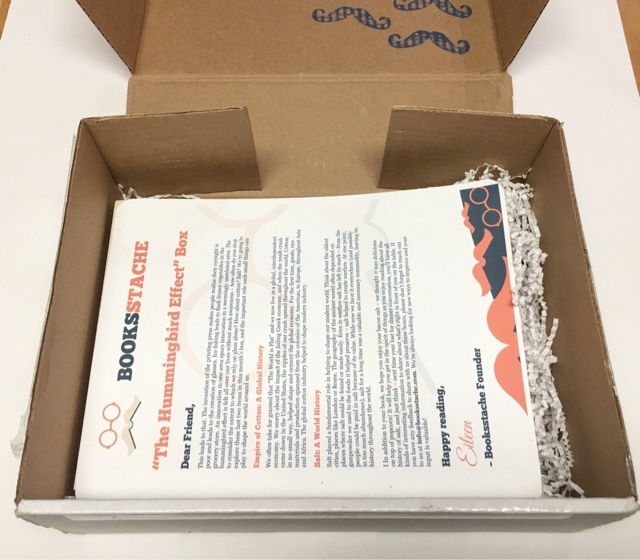 I'm always looking for new and interesting reads so I love book subscription boxes. 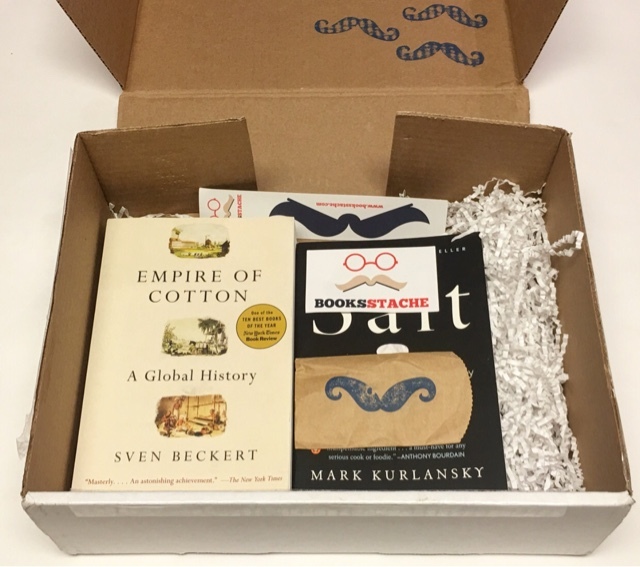 Today It's the May Booksstache Box! Booksstache Box, who very kindly sent me this box for review, is a monthly book subscription box featuring unique & interesting reads. 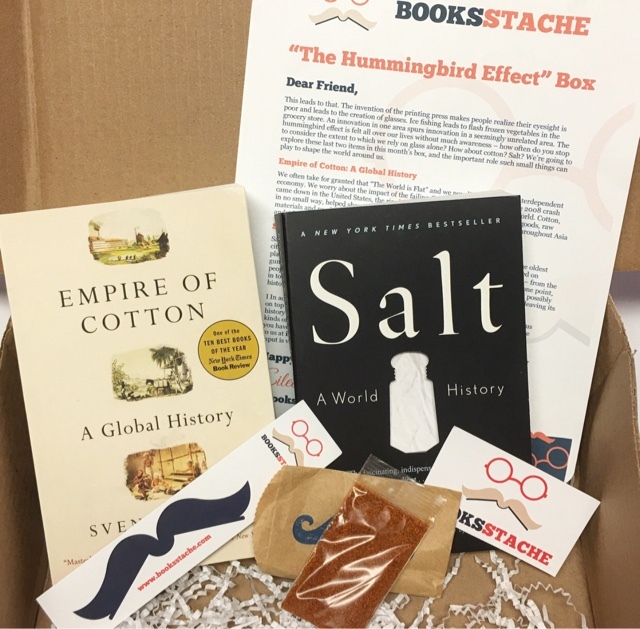 Each unique Booksstache box includes carefully curated reading selections, with two subscription options to suit your personal preference. In addition to the books, you’ll receive decorations and themed items that will change with each new box. There are two subscription options available: Full Stache (featured here) is $50 (plus s+h) per month and includes two to three curated titles along with small themed items and decorations. . The Little Stache costs $35.00 (plus s+h) per month and includes.one of the curated titles offered in the full box, along with some of the same fun decorations and themed items. Want to know something super awesome? 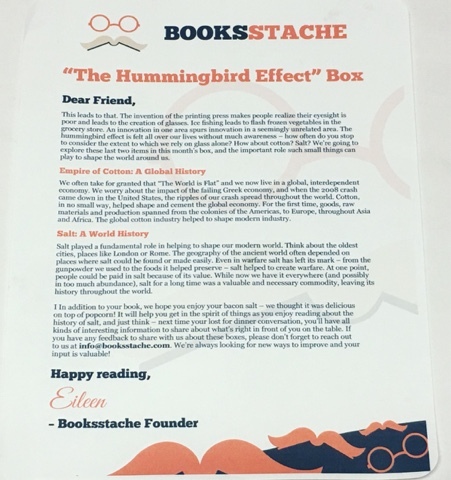 With each sale, Booksstache donates a portion of their profits each month to Room to Read, a non-profit dedicated to promoting childhood literacy. Room to Read establishes schools and libraries in underserved areas of the world and has benefited 9.7 million children to date. Pretty amazing if you ask me! The May box theme is The Hummingbird Effect. It's curated around an idea we seldom seem to remember - that important, little things can shape the world around us. 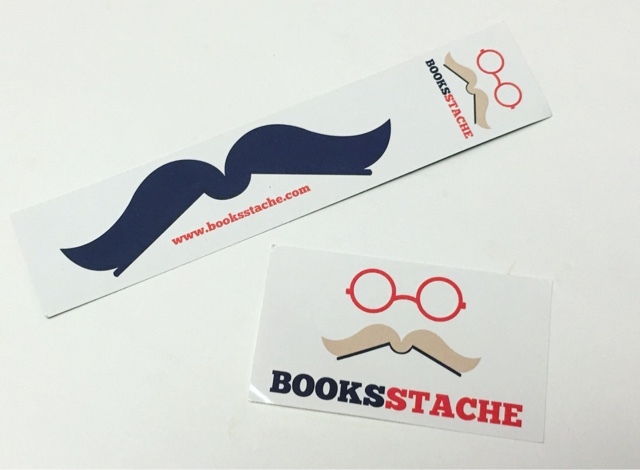 This cute bookmark and sticker featuring the Booksstache logo were included in the box. "The empire of cotton was, from the beginning, a fulcrum of constant global struggle between slaves and planters, merchants and statesmen, workers and factory owners. Sven Beckert makes clear how these forces ushered in the world of modern capitalism, including the vast wealth and disturbing inequalities that are with us today. In a remarkably brief period, European entrepreneurs and powerful politicians recast the world’s most significant manufacturing industry, combining imperial expansion and slave labor with new machines and wage workers to make and remake global capitalism. 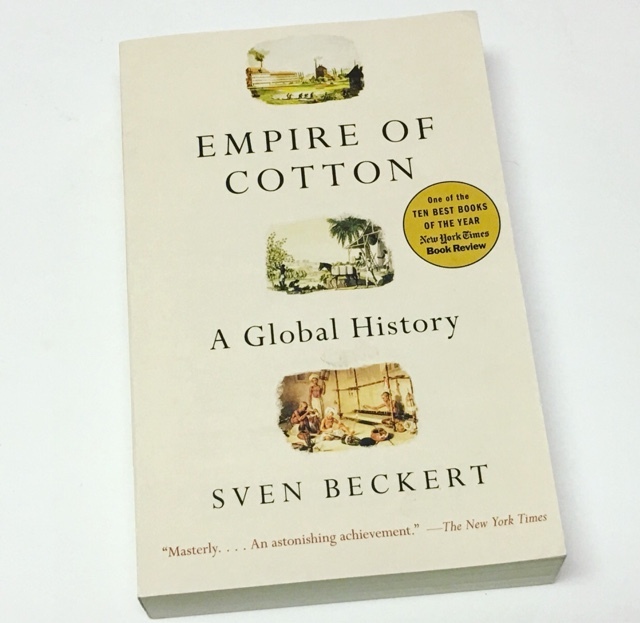 The result is a book as unsettling as it is enlightening: a book that brilliantly weaves together the story of cotton with how the present global world came to exist." 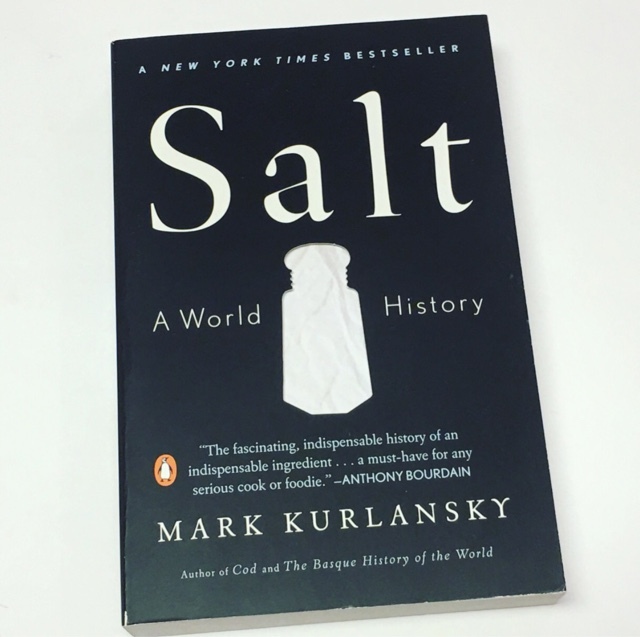 "In his fifth work of nonfiction, Mark Kurlansky turns his attention to a common household item with a long and intriguing history: salt. The only rock we eat, salt has shaped civilization from the very beginning, and its story is a glittering, often surprising part of the history of humankind. A substance so valuable it served as currency, salt has influenced the establishment of trade routes and cities, provoked and financed wars, secured empires, and inspired revolutions. Populated by colorful characters and filled with an unending series of fascinating details, salt is a supremely entertaining, multi-layered masterpiece." 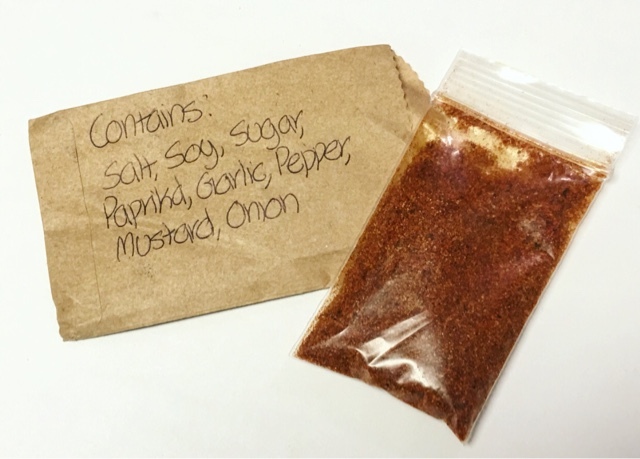 Bacon Salt ---This seasoning salt was also included and Booksstache recommends sprinkling it on popcorn. I love Salt, like, a lot so I'm excited to test it out. You can enjoy it while you read about the history of salt! This box definitely lived up to its promise of unique reads. I don't think this box is for everyone but it's great if you want to expand your reading horizons. My only real point of contention is the price, however, they do give back to a charity with each sale so It's not a deal breaker for me. All in all, I enjoyed this box and I look forward to watching them grow! 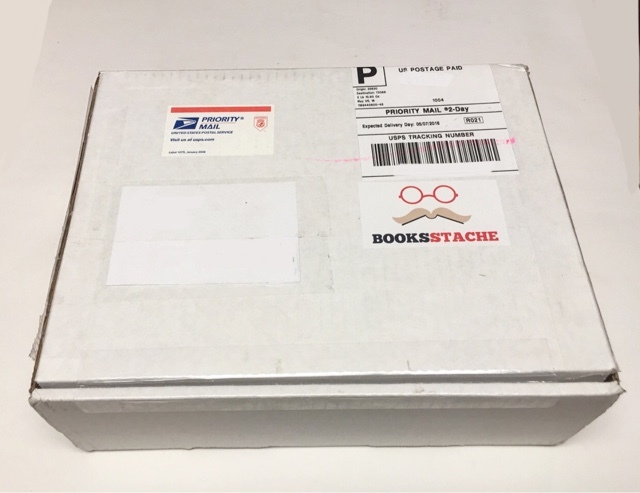 Thoughts on Booksstache Box? Share with us!